As trends change and landscaping becomes overgrown, older homes begin to look outdated and out of place. To give them a fresh look and eye-catching appeal, consider sprucing up your yard with a landscape makeover. You can easily improve the overall appearance of your home and make your outdoor living space an inviting place. 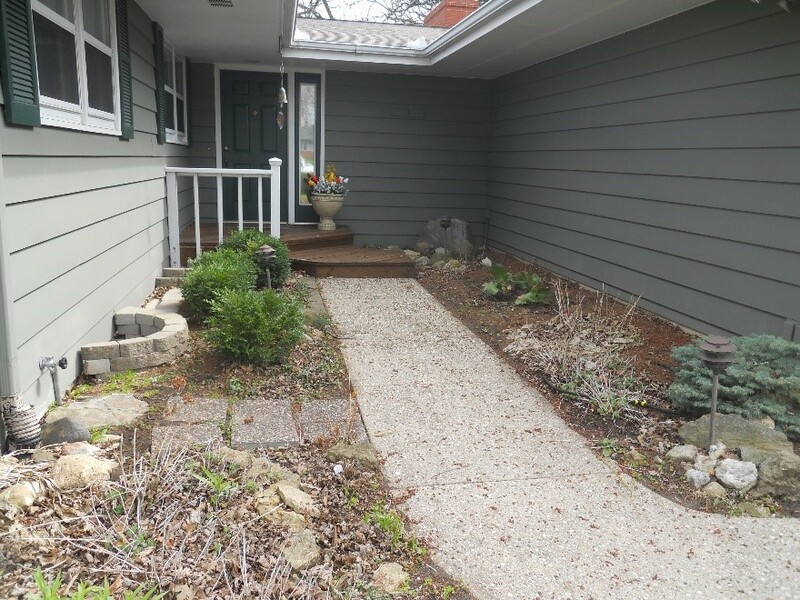 Recreating your landscape may seem like an overwhelming mission, however, you’ll see this task can be a rewarding experience that greatly impacts the usability and value of your home. The views you currently enjoy? The shrubs and perennials which never fail to bloom? Shade tree finally producing shade? The fence or playset your neighbor just installed perhaps? The little shade or evergreen tree planted years ago is now out of scale in proportion to your home? Grass getting thin in areas? Years of mulch build up creating a water drainage? 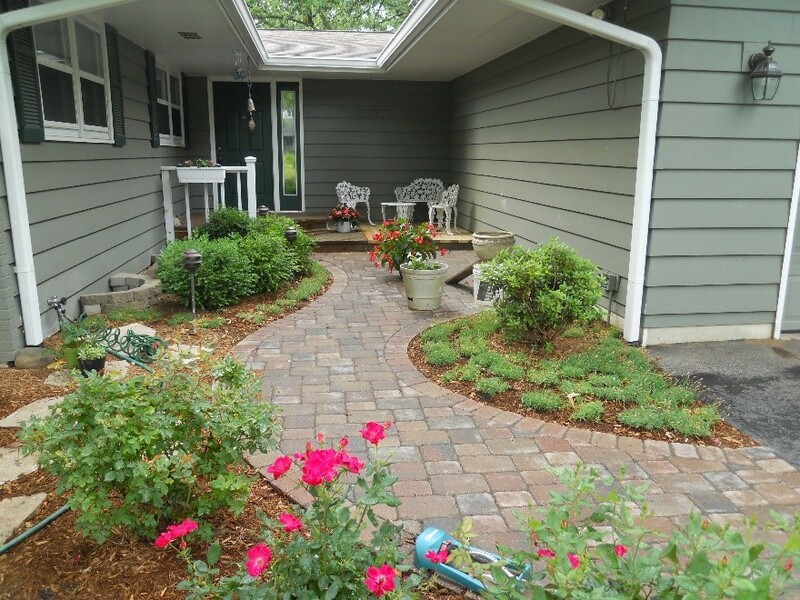 Paver Patio need sprucing up with restoration plan? Foundation shrubs growing above the windows? Foundation evergreens giving you a dated look or are bonsai shaped? Also, consider the landscape style you want. If formal, now considering a more contemporary look and vice versa. Maybe a blend of the two styles. Rectilinear or curvilinear beds. Shabby sheik perennial garden with or without an edible garden is. Do you want more seasonal interest, color or white noise (water feature)? How about adding an outdoor kitchen? The possibilities are endless. With the hectic lifestyle that most of us live, many homeowners are also focused on creating a low maintenance landscape. Use plants that are hardy for our climate, slow growing and require minimal pruning. Although no yard is maintenance free, good choices and planning can free up time working in your yard and rewarded with more time to enjoy them. It is also important to incorporate water conserving ideas for a more affordable and efficient yard. Consider water-wise plants — those that don’t require a lot of water once they’ve been established. An audit of your current irrigation system or the installation of new efficient irrigation system, installed by trained specialists is a must for conserving water and maintaining healthy plants. If you also intend to renovate the outside of your home for example a new roof, windows or painting, it may be best to complete that work prior to installing a new yard. It is important to ensure one project’s success will not impact the other or you can end up spending more time and money than you planned to complete each project. Front Entrance before a makeover. The process of removing, replacing, and choosing new materials can be fun, though overwhelming for many. There are a few ways you can approach your landscape makeover. A landscape architect is a professional who will work with you to create concepts, sketches, detailed plans, budget, and construction documents that are used for installation. To begin with you can call Tyler’s Landscaping Services landscape architect to design the yard of your dreams at 815-636-8500.